The very first step in your post production process is to select your shaky footage that you want to edit. If your shots are not able to provide that original breathtaking feeling then you definitely need to process it, avoid all shaky movements, washed out content, frame props and unnecessarily dark or bright appearances. Always prefer to pick an impressive sound track that can add value to your footage as stay in touch with your film story. You can easily avail some useful content in online libraries like from YouTube audio. When we talk about editing tools then there are numbers of software programs available online with wide set of features. But we prefer to recommend Wondershare Filmroa due to its impressive integration function and user friendly environment. You must be aware of the fact that size of 4K videos naturally becomes very high and they will definitely demand more space in memory. Prefer to export your 4K videos with 1080p resolution level so that they can be easily processed. It is observed that most of drone users spend time on editing too long scenes but one need to understand that watching one scene for longer duration is just a boring task for viewers. Try a balanced approach so that you can maintain interest of all viewers till the end of your video. Editors are advised to use classic tools of editor to make videos more impressive. Special editing effects can give much appealing look to your videos and the best part is that your editing software tool is loaded with wide variety of effects and transitions. One amazing thing to know about post processing workflow is that it comes with variety of choices for professionals as well as beginners. New users may fide this task little complicated so if you are going to edit your videos then it is good to utilize these important steps for best results. For best editing results, prefer to use Wondershare Filmora as it is easy to use with a rich feature set. 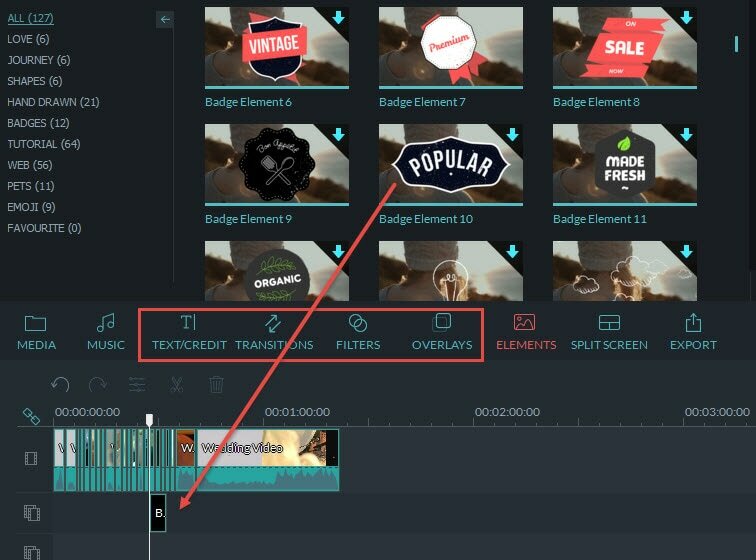 There is no doubt to say that Wondershare Filmora is one of the best tools for easy and advanced editing needs. It contains lots of practical tools to process action cam and drone videos. Its inbuilt instant cutter tool helps users to trim 4K aerial or HD videos with easy drag and drop slider function. You might be aware about the fact that most of drone cameras, even including the GoPro devices, use to contain wide angle lens. They normally cause visual distortion for development of hemispherical image or wide panoramic form. In case if you don't want it then use Filmora editing tool to remove this effect. Gimbals can help you to get rid of shaky videos but in case if you are not able to buy one but still want to get shake free results then it is good to access the stabilization feature available inside Filmora platform. You will be glad to know that Filmora platform offers more than 500 effects for editing and the list includes filters, overlays, titles, text, transitions and free music content. All of them are capable enough to develop interesting footage for aerial video needs. Further, Filmora also has ability to work with advanced themes like Blockbuster, Holiday, Summer, Spring and Travel. Note that a too bright or too dark footage is not considered as ideal for professional needs. Also, a good footage does not contain colour casts like orange, blue overlays that vary scene to scene. 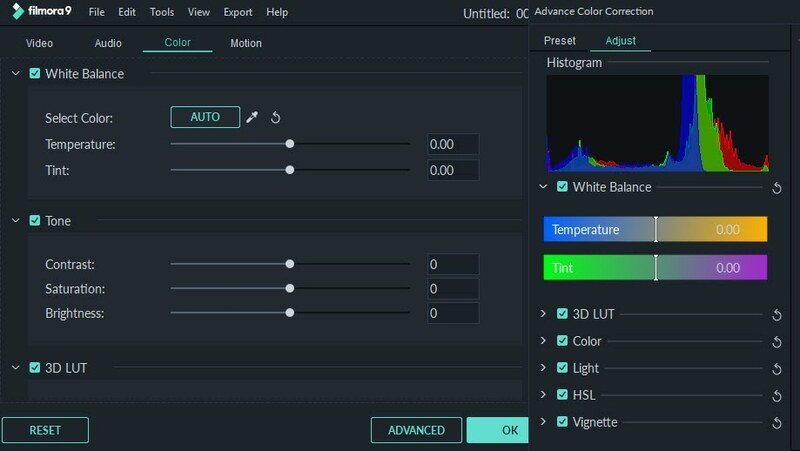 Wondershare Filmora offers colour correction tool that has easy options to make adjustments for tint, temperature, saturation, contrast and brightness. It is also possible to apply 3D luts into videos so that they can provide Hollywood like sensational feeling. The best part to know about wondershare Filmora editor tool is that it offers support to almost all popular media file formats that are often desired for UAV videos. Some of the most commonly used formats are: MKV, FLV, MOV, AVI, WMV and MP4 etc. One can also upload edited videos directly to Vimeo, Facebook and YouTube to impress viewers.